Tenants at this business centre will benefit form the ability to access the space 24-hours a day, as well as an on-site administrative support team, car parking spaces, meeting rooms and a board room. There is air conditioning for comfort, and there is also a shuttle service to and from Sittingbourne Railway Station, where there are services to London. London can also be reached by road in under an hour. 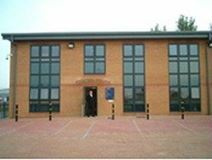 A modern business centre providing a variety of units, in the form of offices, workshops and studios, with comprehensive support services including reception, administration, mail and meeting rooms. The centre lies within the Eurolink Industrial Estate, close to Sittingbourne town centre and railway station. It is just off the A2 with fast access to the M2, M25 and coastal ports.